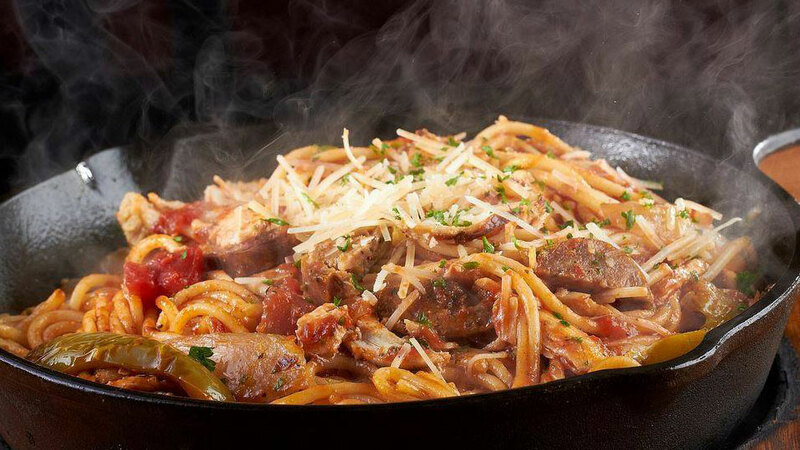 Located at Bend’s north end, Johnny Carino’s Authentic Italian Restaurant says “from traditional Italian dishes like Chicken Parmesan, to the more creative “Spiced Italian” fare like Spicy Shrimp and Chicken and Jalapeno Garlic Tilapia,” the have food and drinks to “satisfy your hunger for great food in a family-friendly atmosphere”. For those with restrictive diets, they offer an extensive gluten-free menu. Allergen and nutrition guides are available for your convenience as well. They serve a lot of their food to go, so call ahead if you want to take it home. Monday through Friday they offer a Happy Hour menu from 3:00 p.m. to 6:00 p.m. offering $5 appetizers, $5 martinis and cocktails, and $2.50 micro brews. Happy Hour begins again from 9:00 p.m. to 10:00 p.m. with $5 appetizers, $5 martinis and cocktails and more $2.50 micro brews.